www.cappella-gloriana.org is being temporarily re-directed to this page. 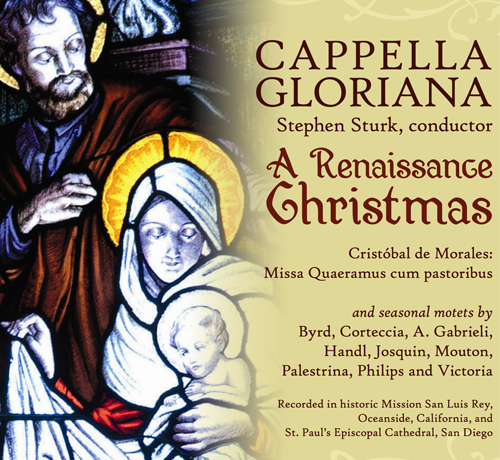 For information regarding Cappella Gloriana, a San Diego-based professional chamber choir, please contact artistic director Stephen Sturk: sturkdma@gmail.com. 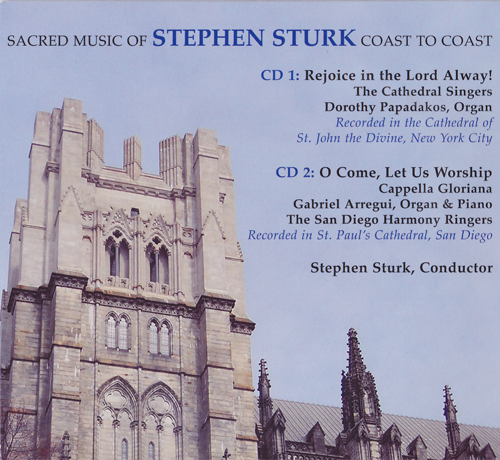 I am proud to announce that the double album of my compositions, "Sacred Music of Stephen Sturk Coast to Coast" is now available through iTunes! My heartfelt thanks go to the more than 60 musicians who recorded this music, with special kudos to my incredible engineers: Randy Hansen (NYC) and Michael Blinco (San Diego). 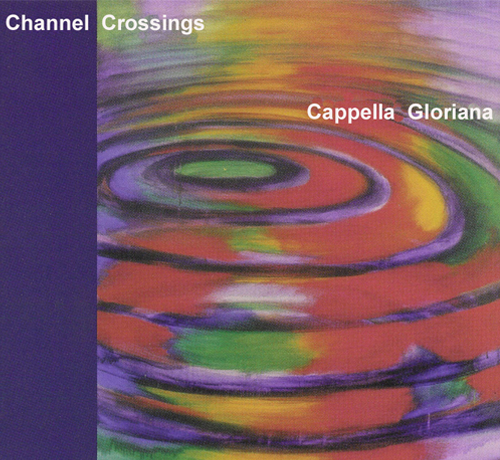 Originally released as a 2-CD set, the first album was recorded in the Cathedral of St. John the Divine, NYC (1990), and the second was recorded by Cappella Gloriana in St. Paul's Cathedral, San Diego (2010). 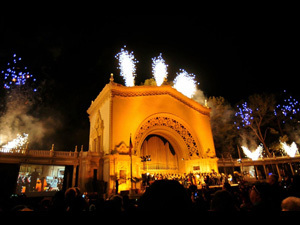 CENTENNIAL CONCERT celebrating the 100th Anniversary of the Spreckels Organ, featuring the premiere performance of STURK: Wondrous Machine performed by Civic Organist Dr. Carol Williams and the Centennial Chorale, directed by John Russell. This special Choral Evensong was the opening service of the American Guild of Organists convention. 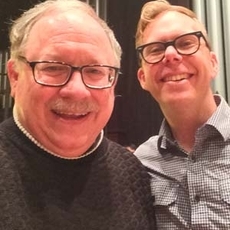 New arrangements of pieces for brass and organ by Cathedral Composer In Residence Stephen Sturk and San Diego Civic Organist Carol Williams were premiered. 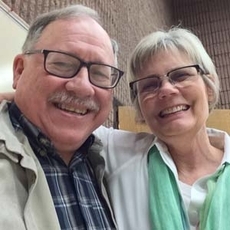 FESTIVAL EVENSONG celebrating Pamela Wade on her retirement from music ministry at the church. 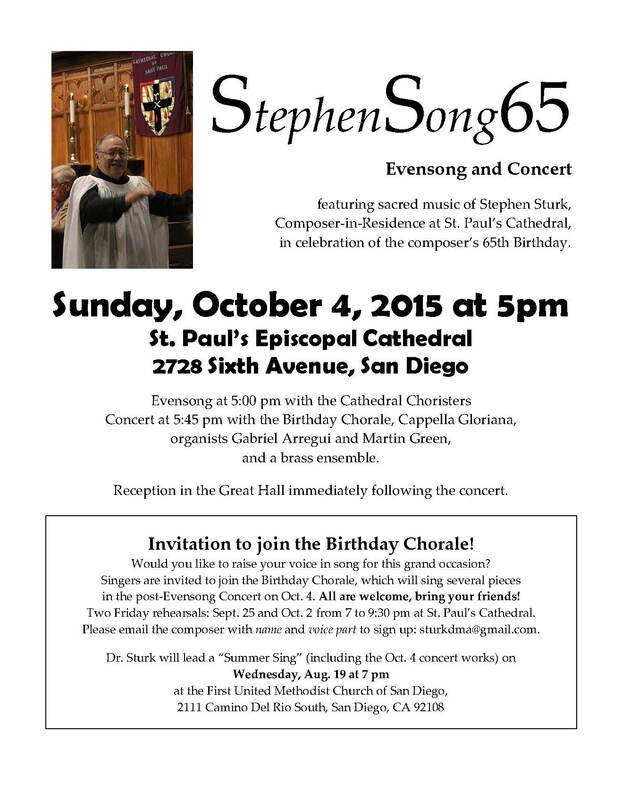 In honor of the composer's 65th birthday, the Cathedral Choir sang Sturk compositions at Evensong. 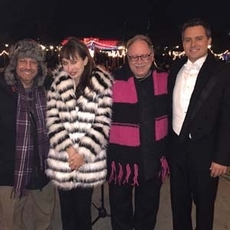 A Gala concert was performed with The Birthday Chorale, Cappella Gloriana, brass ensemble, organists Martin Green and Gabriel Arregui, guest conductors John Russell and Juan Carlos Acosta, presenting a number of Dr. Sturk's compositions. 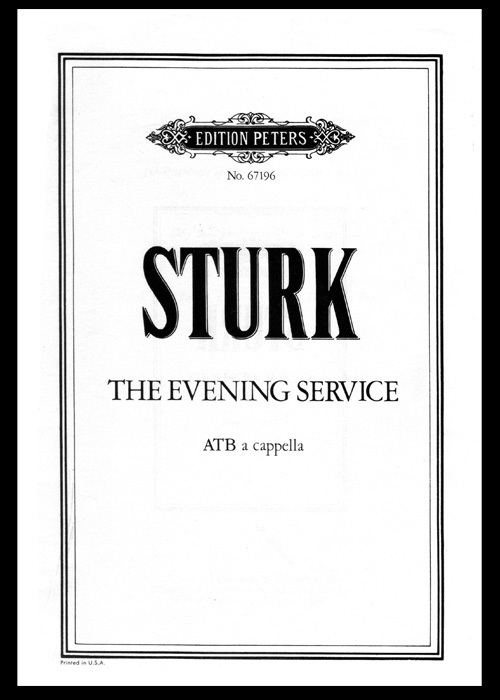 Dr. Sturk conducted this open sing of several of his lesser-known compositions written for festival occasions. 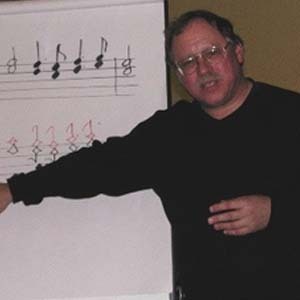 Dr. Stephen Sturk, (born in Chicago, October 2, 1950) was named “composer in residence” at St. Paul’s Episcopal Cathedral, San Diego in October 2000. 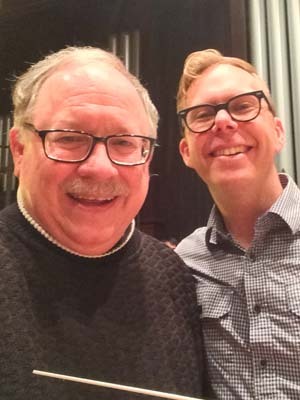 He is conductor of Cappella Gloriana, San Diego’s professional chamber choir, as well as several other choirs in southern California. 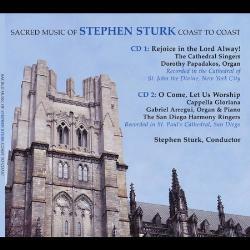 Dr. Sturk is also a founding director of San Diego’s Pacific Academy of Ecclesiastical Music (PACEM). 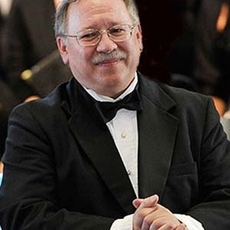 He served on the faculty of the University of San Diego where he was director of the Choral Scholars Program. 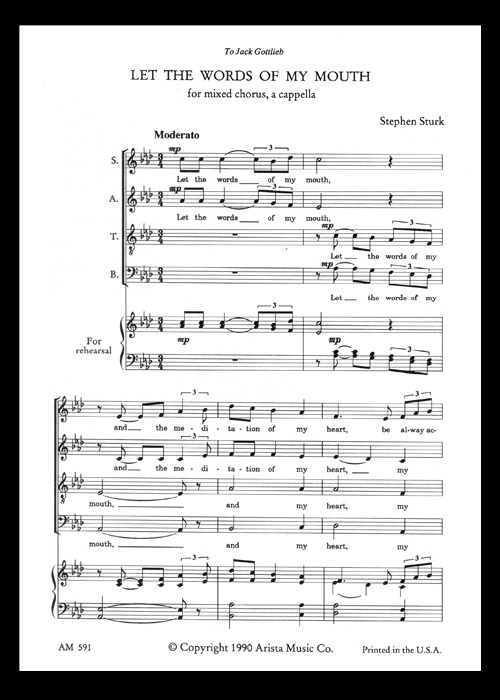 Dr. Sturk’s anthems have been published by Arista Music (Brooklyn, NY), C.F. 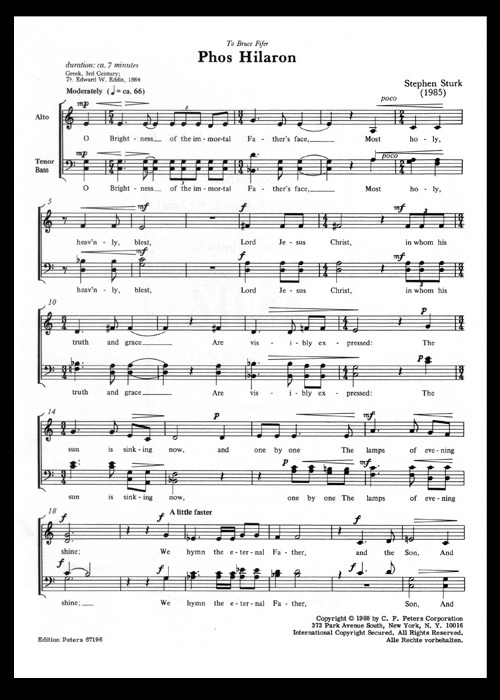 Peters Corporation (New York, Associated Music Publishers (New York), and Oregon Catholic Press (Trinitas series). 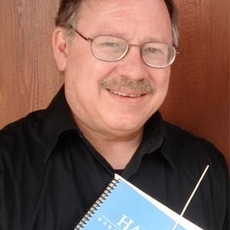 Before settling in California in 1991, he was a conductor, composer and tenor in New York City where his principal positions included music director of The New York Motet Choir, associate conductor of the choirs at the Cathedral Church of St. John the Divine and director of The Juilliard Singers at the Juilliard School of Music (under the auspices of the Lincoln Center Student Program). 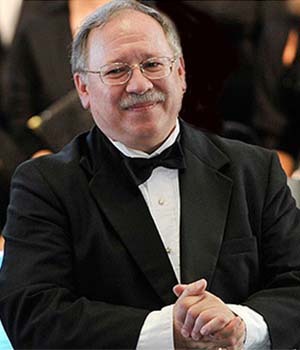 He appears as conductor or singer on more than 60 recordings, most notably on the soundtrack of the Disney animated feature "Beauty and the Beast". 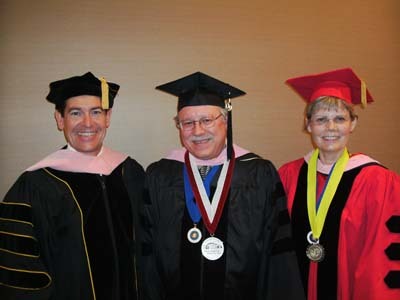 Dr. Sturk was educated at North Central College in Naperville, Illinois (B.A. in Classics) which recognized his career as a composer by awarding him the college's prestigious Fine Arts Medal in October 2008. 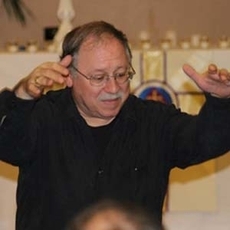 He received the Master of Arts degree in music history and literature from San Diego State University, where his specialty was music of the California Missions. 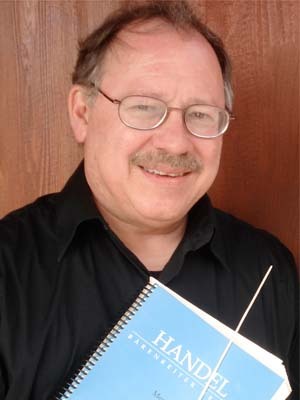 He earned the Doctor of Musical Arts degree in choral conducting from North Dakota State University. 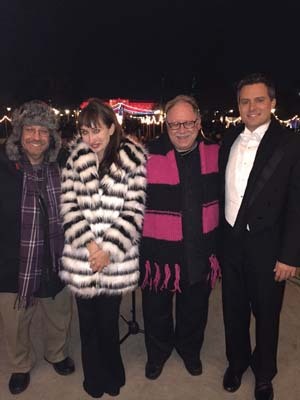 Premiere performance of "Be Joyful in the Lord"
Performance of "Magnificat and Nunc dimittis"
Premiere performance of "Wondrous Machine"
Dedication: To the memory of Larry King, Music Director of Trinity Church, Wall Street, New York City. 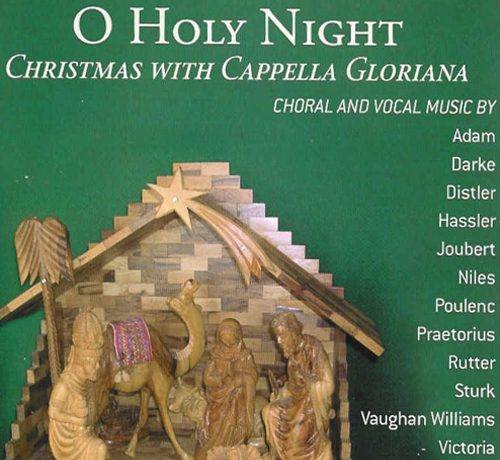 Written for Candlelight Vespers at the Cathedral Church of St. John the Divine in New York City. Summer, 1985. 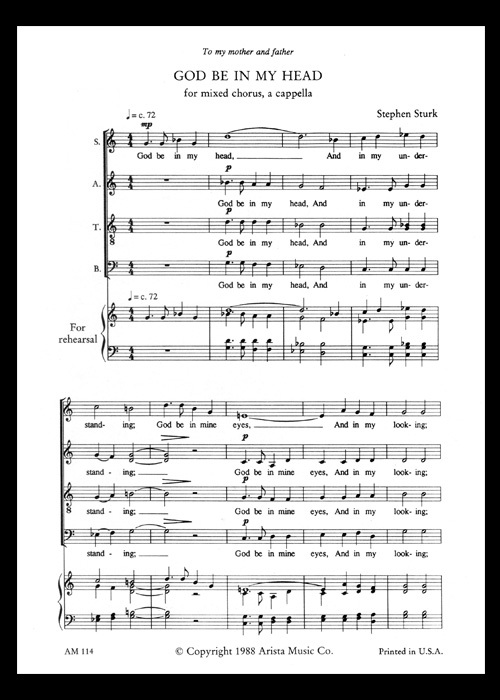 Dedication: To Velma Rowe and the choirs of Maximo Presbyterian Church, St. Petersburg, Florida. 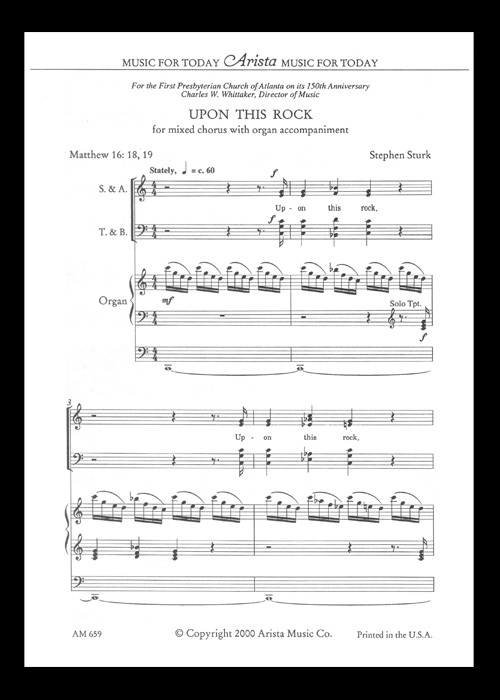 First performance by the choir of St. Paul's Cathedral, San Diego, CA, Canon Martin Green conducting. Dedication: To Thomas Hewes in deepest friendship. 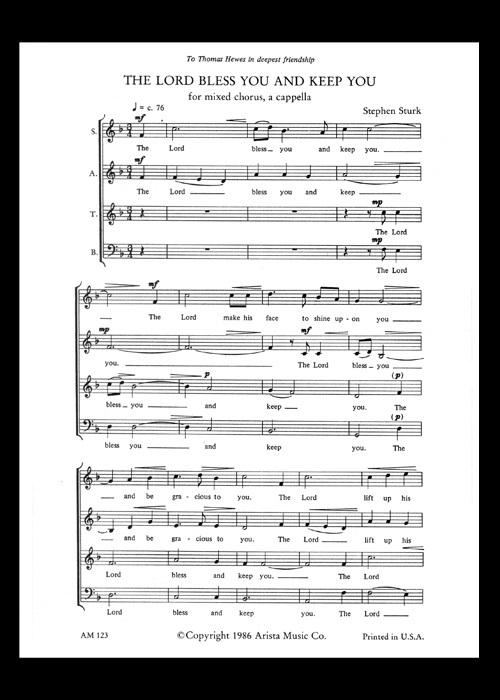 Commissioned for the Conference of the Association of Anglican Musicians, New Haven, Connecticut, 1988 in honor of Mildred Buttrey. First performed at the AAM Conference, June 1988, at Trinity-on-the-Green Episcopal Church, New Haven, Connecticut. Commissioned by Trinity Church, Escondido, California, in celebration of the fortieth birthday of their rector, The Reverend Margaret Decker, August 2, 2002. 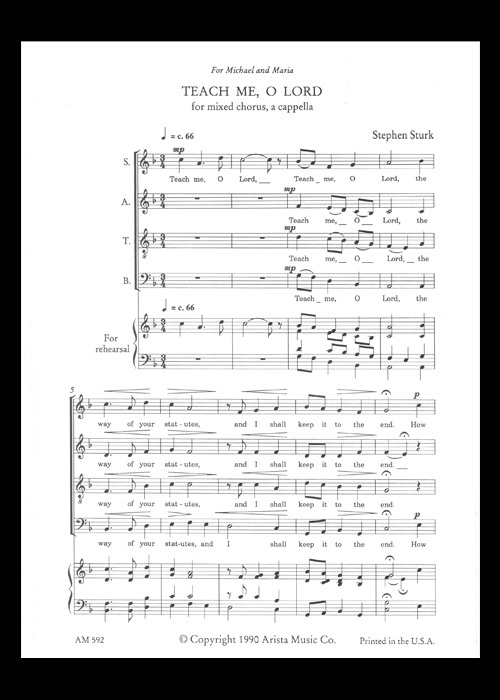 Dedication: To J. Michael Rousch and the Choir of St. Barnabas Episcopal Church, Greenwich, Connecticut. 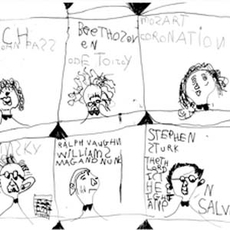 Dedication: To Paul Halley, Organist, and the Choristers and Gentlemen of the Cathedral Church of St. John the Divine, New York City. Rejoice in the Lord Alway! Dedication: To the Rev. Susan L. Tobias, for her institution as Rector of St. David's Episcopal Church, San Diego. 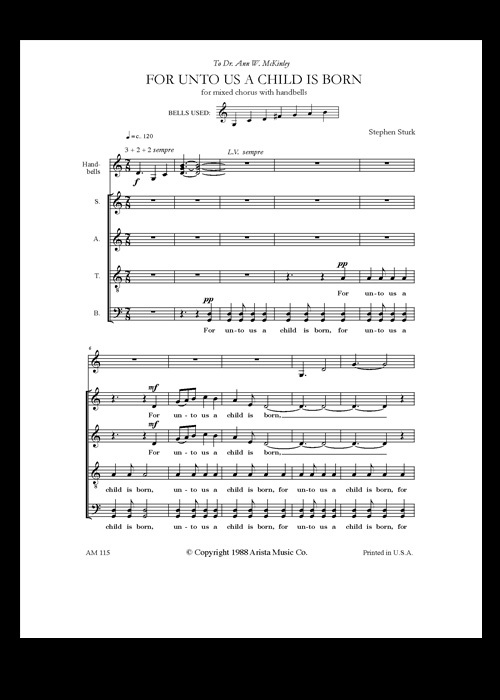 Commissioned by Velma Rowe and the Maximo Presbyterian Church choir, St. Petersburg, Florida. 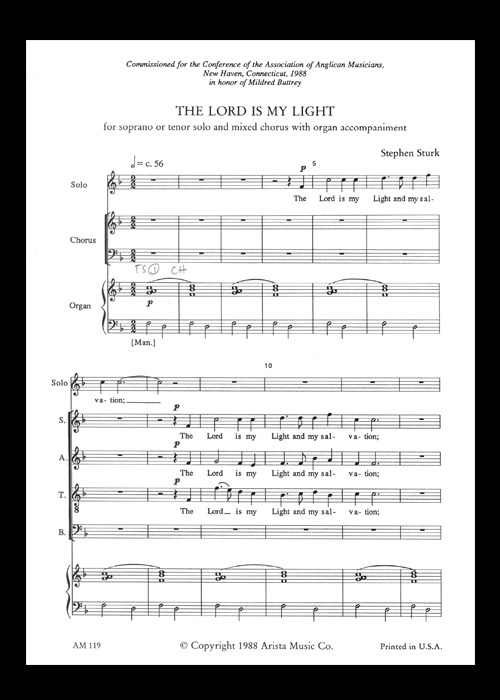 Commissioned by the musicians of the First United Methodist Church of Escondido, California. Dedicated to the Glory of God and in remembrance of those who have entered life eternal. 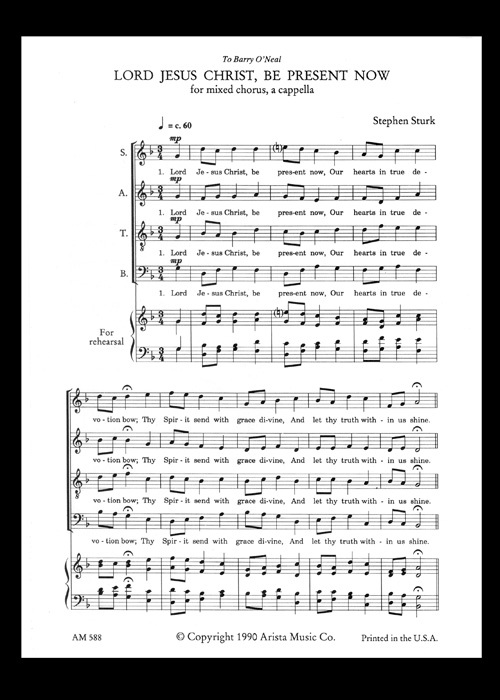 Text: Kyrie (in Greek); Gloria, Sanctus and Agnus Dei (in English) from The Book of Common Prayer. 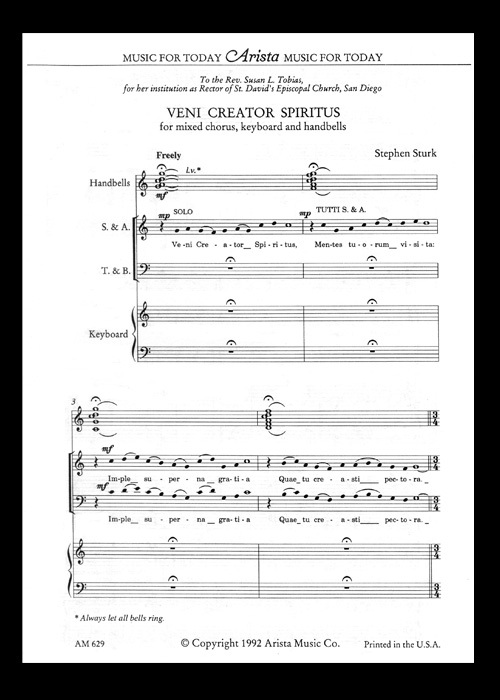 Composed for St. Thomas of Canterbury Episcopal Church, Temecula, Calif.
First performed in concert (August, 2008) by Cappella Gloriana under the composer's direction. Commissioned by the First Presbyterian Church of Lincoln, Nebraska in celebration of its 125th Anniversary. Commissioned by St. Peter's Episcopal Church, Del Mar, CA for the installation of their new Rector, the Rev. Paige Blair. Commissioned for the Centennial Celebration of the First United Methodist Church, La Mesa, Calif. November 19, 1995 and lovingly dedicated to Genevieve Grant. 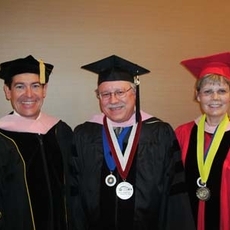 Commissioned by North Central College, Naperville, IL for the opening of the Wentz Concert Hall, October 18, 2008. First performed by the North Central Concert Choir, Women's Choir, and Concert Band under the direction of Jeordano Martinez. 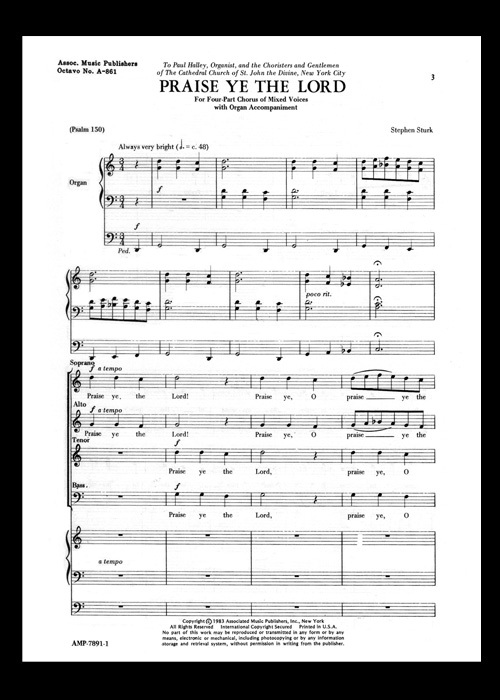 Text: Latin mass phrases, and complete English setting of Kyrie, Gloria, Sanctus and Agnus Dei from The Book of Common Prayer. 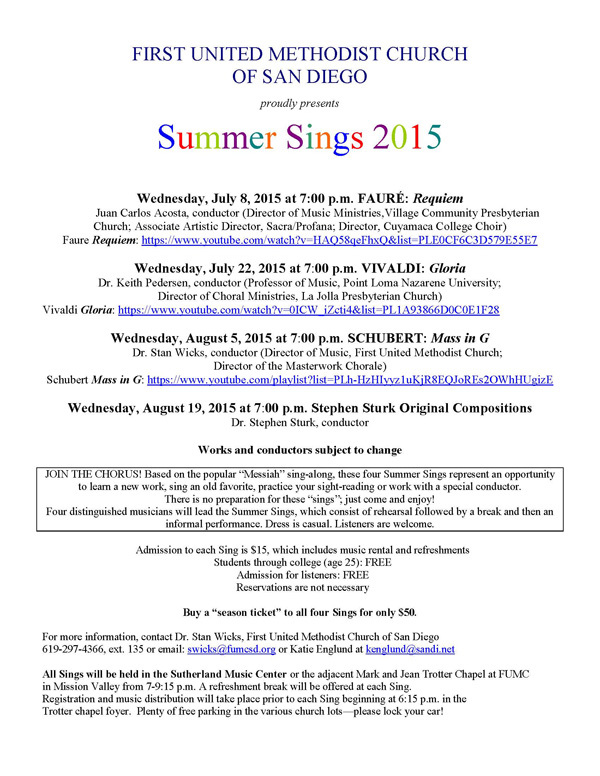 Commissioned by St. Paul's Episcopal Cathedral, San Diego, California. 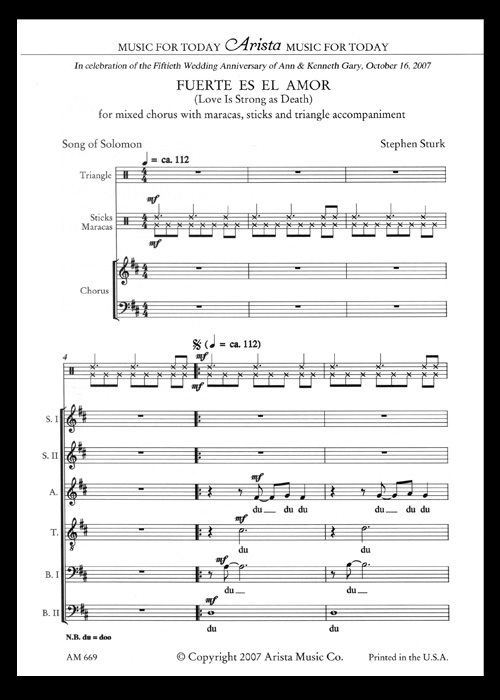 Dedication: For the choir and people of St. Paul's Cathedral, San Diego, and Canon Martin Green, Organist and Director of Music. 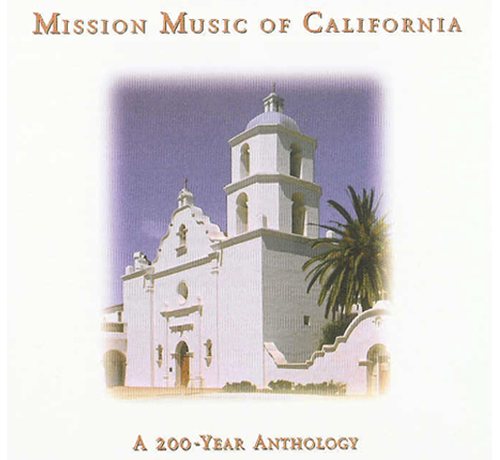 First performed by Cappella Gloriana at Evensong service on Sunday, July 15, 2007 at St. Paul's Episcopal Cathedral, San Diego. 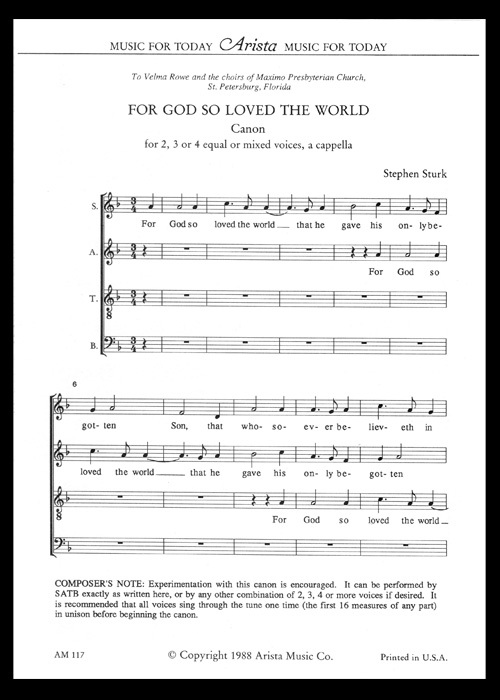 NOTE: This work was composed as a companion to The Evening Service (ATB) of 1985. 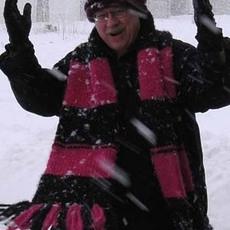 Dedication: To Fr. 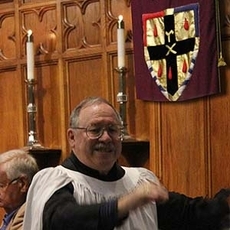 Wesley Hills on his retirement from St. Andrew's Episcopal Church, Encinitas, California. First performed at Fr. 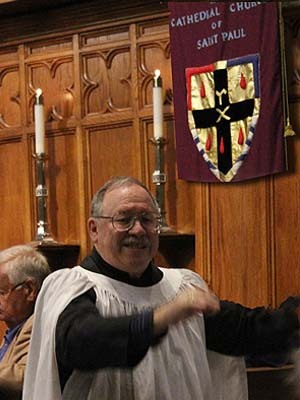 Wes's final service as Rector of St. Andrew's, June 10, 2012. Commissioned by the Episcopal Church of St. Andrew, Encinitas, California in honor of the installation of The Rev. Wesley Hills as rector. Text: Latin; English translation by Joyce MacDonald Glover (b. 1923) from The Hymnal 1982. 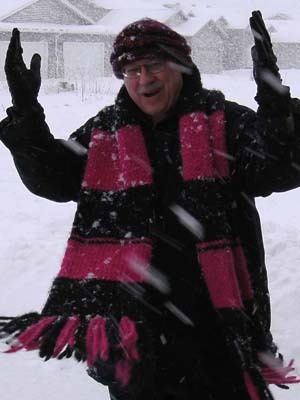 Commissioned by Fairmount Presbyterian Church, Cleveland Heights, Ohio (Robert Moncrief, Minister of Music) for the Church's 90th Anniversary, October 2006. Dedication: To René Rowland, Minister of Music, and all the music makers at California Heights United Methodist Church, Long Beach, Calif. 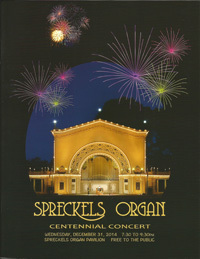 Commissioned by the Sprekels Organ Society for the 100th Anniversary. Commissioned by Sonja Reimnitz for her sons and father. First performance at the wedding ceremony by soprano Cynthia Richards Wallace and harpsichordist Alison Luedecke. 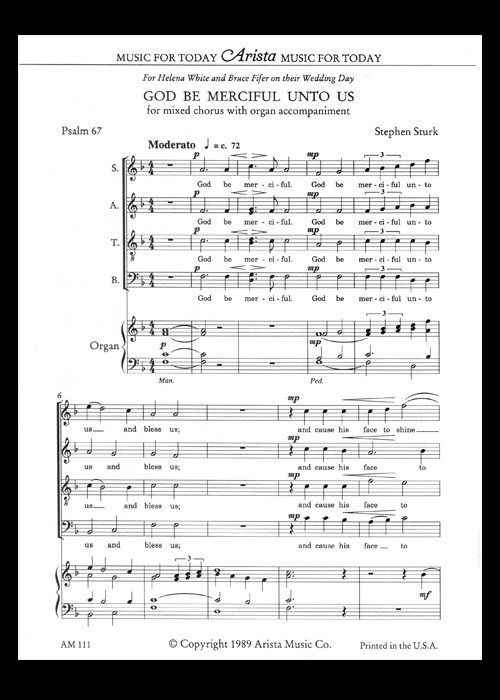 Commissioned by Alison Luedecke, and first performed by Millennia Too! (Alison Luedecke, organ, and Susan Barrett, oboe) at "Pipes in the Desert," the midwinter conclave of the American Guild of Organists, Region IX, Tucson, AZ, January, 2008. Dedication: For Maureen Bajita Igama and Derek Ralph May II on their wedding day, August 19, 2006. 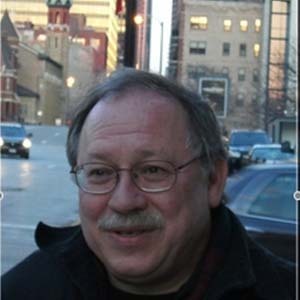 Do you need music composed for a special event? 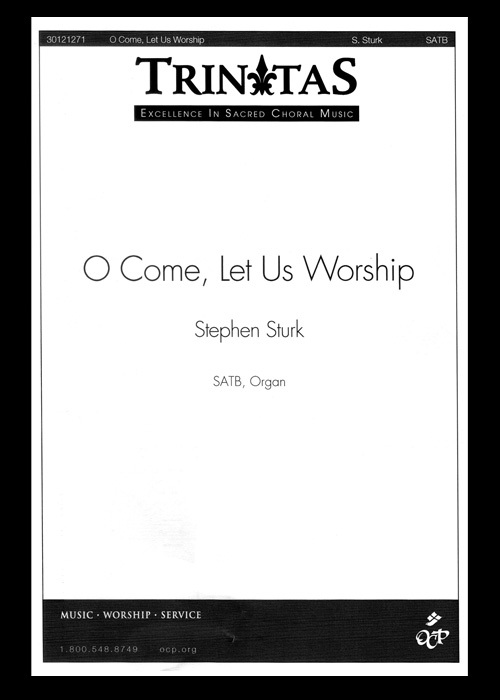 Stephen Sturk has composed works for weddings, anniversaries, birthdays, church anniversaries, ministry landmarks, organ and building dedications—just about any event you can imagine. What will the performing forces be? 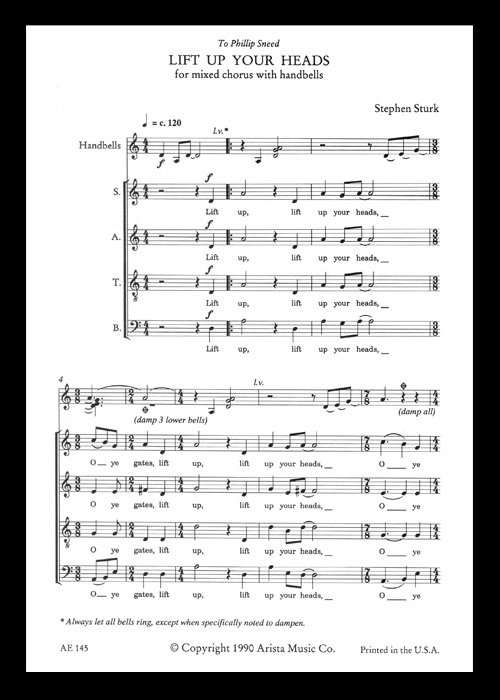 SATB choir? 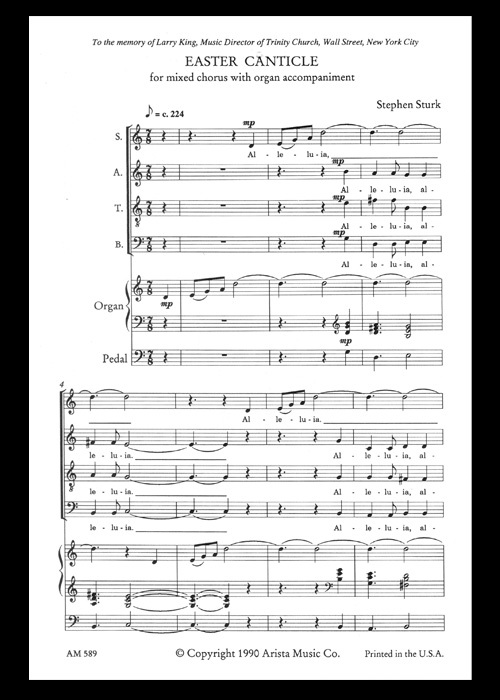 With solos or divisi? 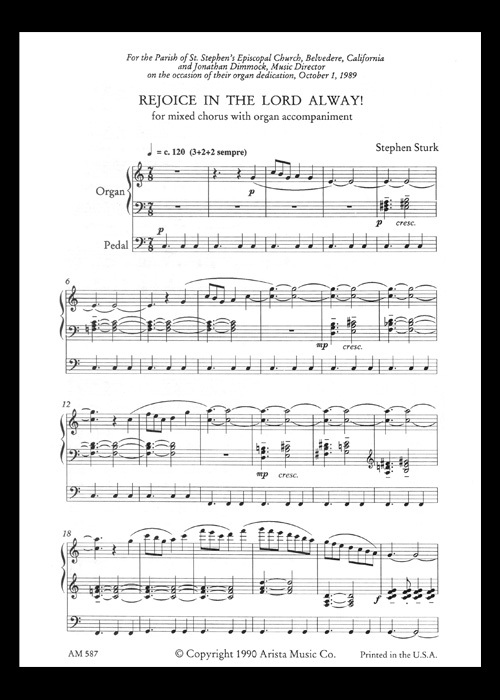 Accompanied by organ, keyboard? Brass ensemble? Other instruments? 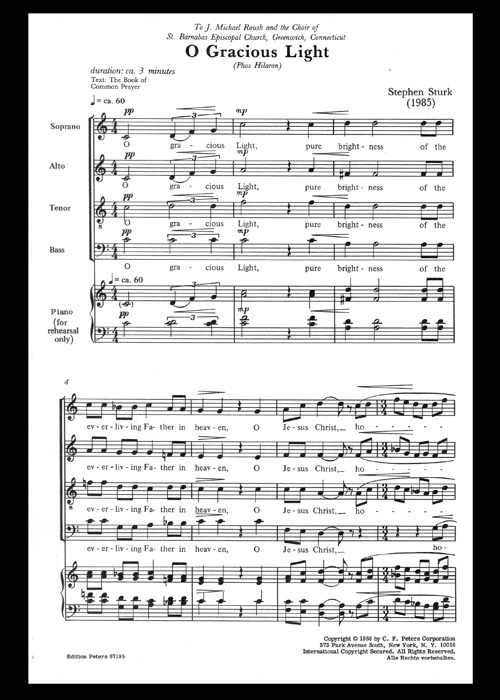 For vocal works, is there a preferred text? Is the text in the Public Domain, or can rights to use the text be obtained? What length should the composition be? 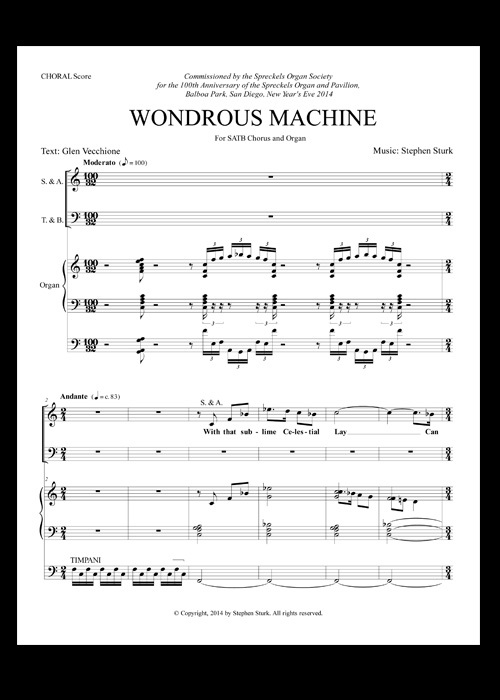 Do you want an original work, or an arrangement of an existing tune? 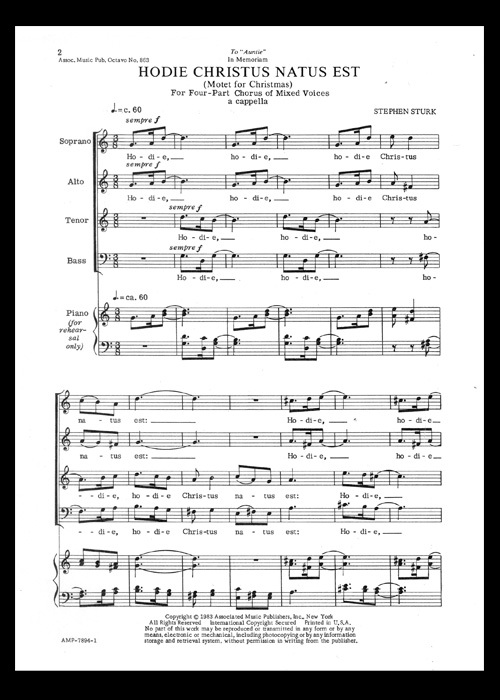 Are there any other special considerations that should be included in the composition (e.g., should the honoree's favorite tune be quoted in the composition)? When is the completed work needed? Please consider time desired for adequate rehearsal. Once these questions are answered, a commissioning fee can be determined (and/or negotiated). 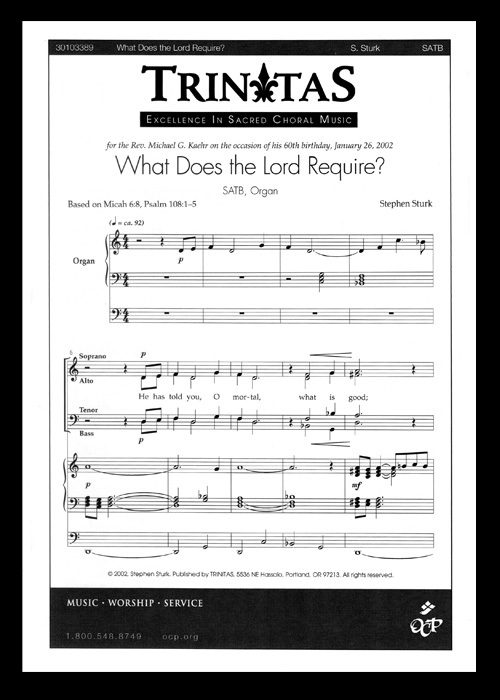 The commissioning fee includes delivery of performance-ready professionally-engraved scores (and instrumental parts, if applicable) in PDF format. 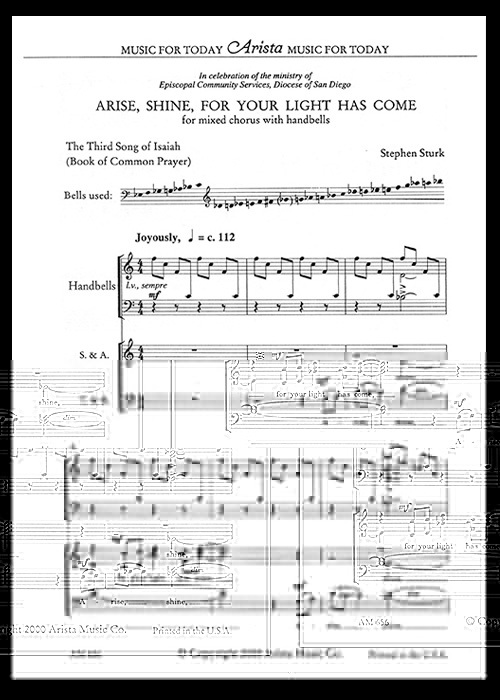 The commissioner assumes responsibility for printing or photo-copying of scores needed for the premiere performance, and permission for such copying is included with the commissioning fee. After details and price are determined, a "letter of agreement" will be presented to the commissioner(s). Payment is typically expected in two installments—half upon signing the "letter of agreement," and the remaining half upon delivery of the completed composition. Thanks for your interest in having a new musical creation for your event. Every project should be considered "attainable" and Dr. Sturk is prepared to work within your budgetary parameters. To discuss a possible commission, please contact Dr. Stephen Sturk via email: sturkdma@gmail.com.